While cats may not be able to verbally speak like us, they can show how they are feeling through their body language. If you want to learn more or better understand your feline, keep reading. For example, if you ever accidentally scared your cat, they might jump or their tail goes up and they freeze. They are letting you know how they feel. 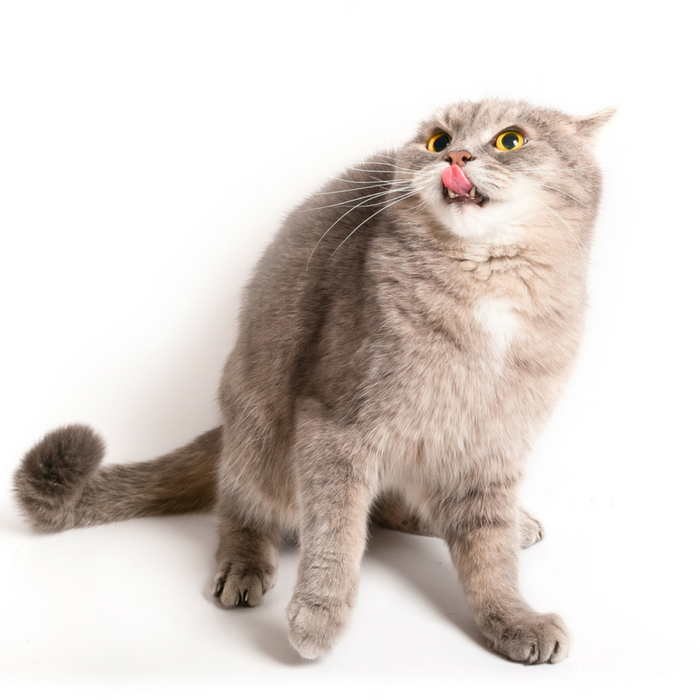 Here are some more signals and signs to look for to learn to decipher your cat and learn about cat body language and behaviors. One thing I will add is that each cat is different in personality and characteristics. So while your cat may not do exactly what is listed below, they might have a similar reaction. This is a rough guide to cat body language that will help you better understand your cat. Cat Body Language – What Does it Mean? Your cat’s ears are a great indicator of a variety of emotions and feelings. If your cat’s ears seem to twitch a little, it could mean they are uneasy or nervous about what is going on around them. Or if they are leaning slightly to the side and forward, they are generally really relaxed. If they perk up and lean forward, your feline might feel playful and energetic. Now when your cat pins their ears back this is a sign they are they very agitated or uncomfortable. You or whatever is around them need to back away. They could attack as they feel threatened. We all have a love for that beautiful long tail that moves so graciously. But your cat’s tail can really tell you a lot about your cat. If your cat is pretty happy and relaxed they will generally hold their tail out loosely behind them. This shows they are not worried or scared. If your cat’s tail is twitching a little bit they might be watching a squirrel out the window and dreaming of pouncing at it or wanting to be playful with you indoors. Now if your cat begins to get agitated they could either curl their tail under them or very forcefully move their tail back and forth in a faster motion. This shows your cat is nervous about what is going on around them and they feel threatened, or uneasy. When your cat is relaxed and laid back you will see them lounging around. The belly of your cat is very sensitive, so if you ever see your cat laying on their back you know they trust you or whoever is around and that they are completely comfortable with their surroundings. When your cat becomes scared or anxious they may crouch down and kind of ball up their body. This allows them to move quickly if needed. They might even pull back their ears. You could even notice that their claws might be extended in case they need to use them. Just like with a startled cat they might curl up a little or they could stretch up and arch their backs. Just try to be aware of your cat’s behaviors and reactions. This will allow you to begin to get a feel for how your cat reacts. Most think whiskers stay in the same position all the time. But, when your cat is more curious or interested their whiskers may move forward and become stiffer. When startled or uneasy, the whiskers will move closer in towards the face as a form of protecting them. 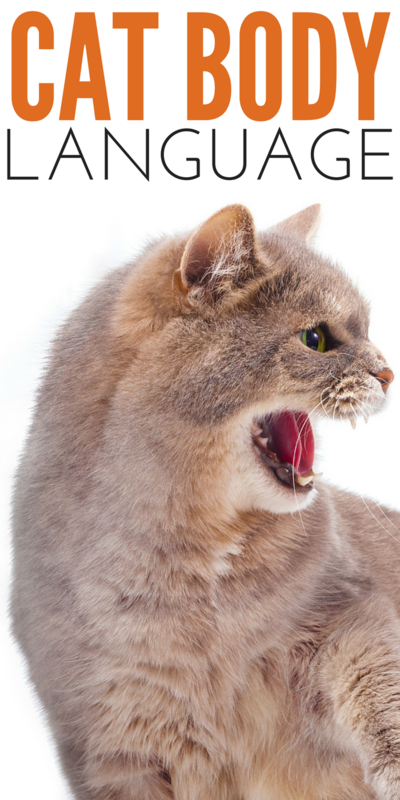 Do you use cat body language to better understand your feline friend?